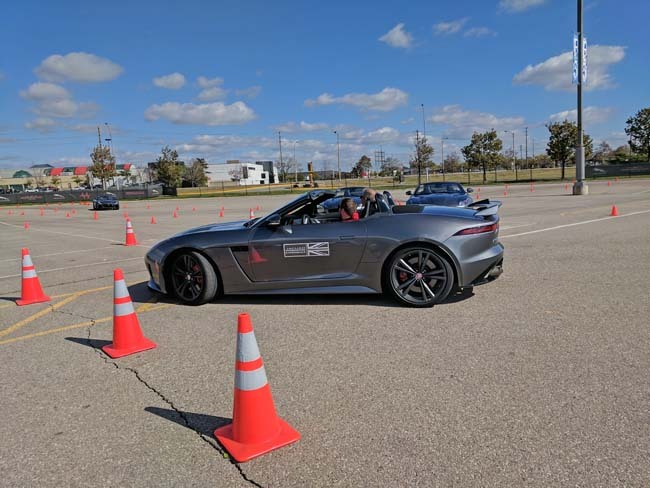 The 2017 Jaguar Land Rover Art of Performance tour rolled into Toronto after an earlier stint in Montreal and a special appearance at the 2017 Invictus Games, also here in Toronto. 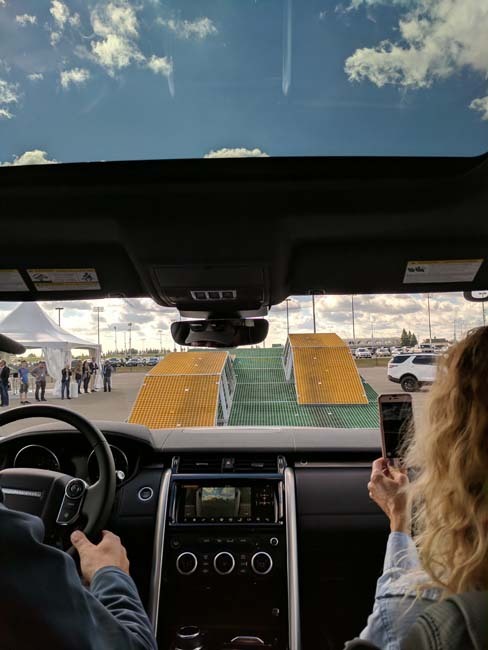 The Tour gets potential customers into vehicles and allows them to experience Jaguar and Land Rover models in ways they would normally never have a chance to try. The Art of Performance Tour also seeks to re-introduce consumers to the two iconic brands. Having been bought recently from Ford by the Tata Group, both Jaguar and Land Rover brands have seen a renaissance. Investment is flowing into research and development. One spokesman from Jaguar Land Rover (JLR) mentioned the investment would lead to new vehicles being introduced every six months over the next six years. Jaguar began in 1922 as Swallow Sidecars when a 21-year-old started making streamlined motorcycle sidecars. This lead to building bodies for other vehicle manufacturers and then eventually, Swallow Sidecars began making their own cars. World War 2 saw the company renamed as anything with the initials SS wasn’t well received. The name Jaguar was adopted from one of the models in their lineup and became the brand name.Land Rover was born in 1948 following World War 2 when Rover was looking to make a vehicle people would buy. A “farmer’s friend” seemed like a good idea and the original Land Rover, a farm implement, was introduced. Over the years the Land Rover’s utility and appeal grew, then other models such as the Defender sprouted from under the shadow of the original model and renamed. 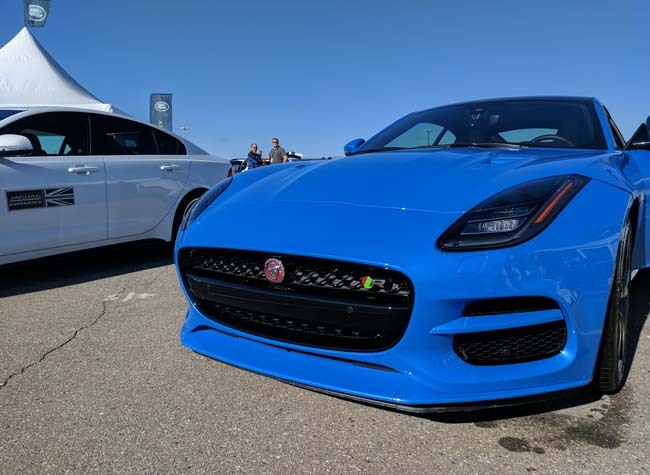 The Art of Performance tour is open to consumers who can sign up to attend at no cost and experience some of Jaguar Land Rover’s products in an environment that seeks to showcase the vehicle’s capabilities. 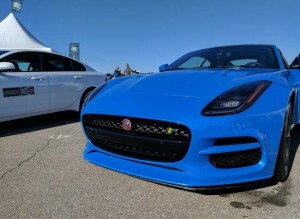 While just about all the current models for sale were on display at the venue, Jaguar Land Rover focused on presenting 4 vehicles for guests to experience. 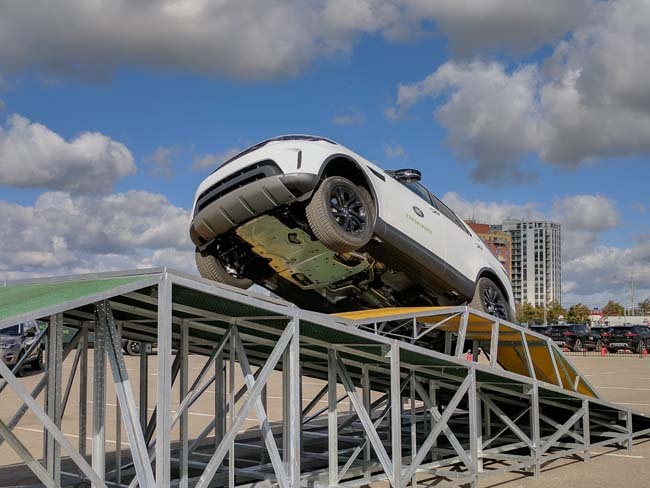 There were two instructor-led, participant driving exercises; A rally-cross cone course laid out to challenge Jaguar F-Pace Crossovers and a strangely challenging precision driving competition, using specially equipped Jaguar XE sedans to precisely navigate an electronically monitored course. Watching consumers tossing the luxuriously appointed Jaguar F-Pace Crossover vehicles around the marked course was somewhat amusing. Some participants apparently showed up to impress, and others were simply laughing throughout the instructor-led laps around the circuit. The Smart Cone course was a scored exercise. Points are given for accuracy in getting between the cones, balanced with time to complete the task as well as the distance traveled in doing so. Less was better in the latter two criteria. The Art of Performance Tour visits about 50 countries around the Globe and the Smart Cone course layout is identical regardless of where the event takes place. As such, drivers should be able to see how their score stacks up with any other participants around the planet. I’ll save you the drama, it was a humbling experience. 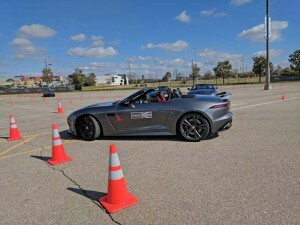 Also, two professional drivers led ride along events were offered; hot laps of a cone marked course in a Jaguar F-Type SVR; as well as Land Rover Discovery SUV’s crawling over full-sized playground-like structures using metal vehicle ramps and angled platforms. Watching the Discovery SUV’s seemingly suspended in mid-air as the 7-passenger SUVs transitioned from one angle to another was genuinely astonishing. 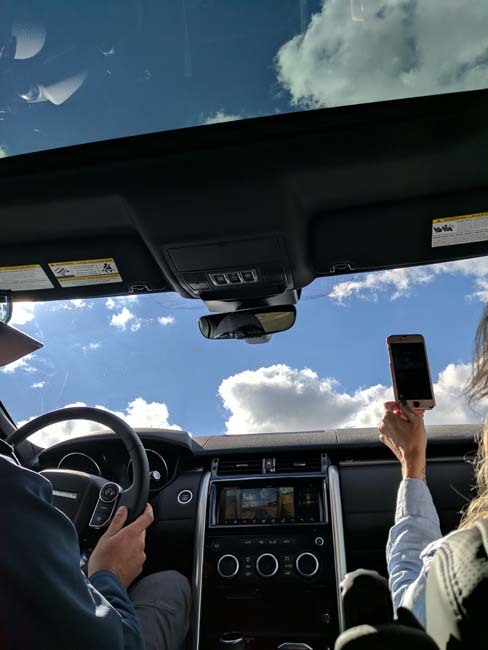 It is hard to believe a regular passenger vehicle can withstand the angles exerted on the Discovery during the short trip. Hopefully you get some sense of the adventure from the photos attached looking up into the sky and the other demonstrating the angle relative to the horizon. The Jaguar Land Rover Art of Performance Tour moves onto Edmonton in two weeks and then finally onto Vancouver. 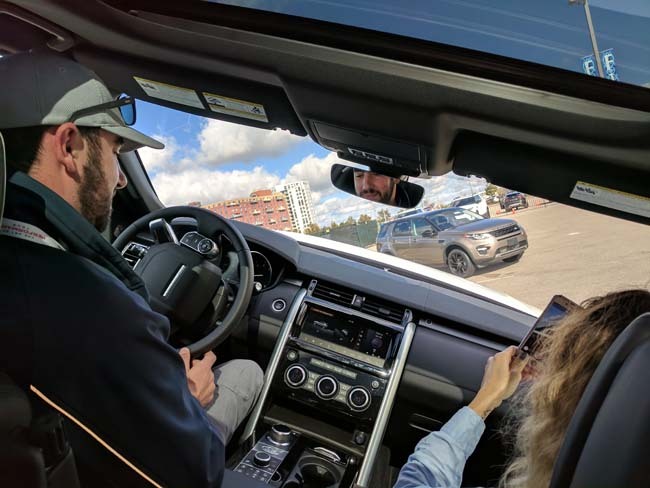 If you are interested in enjoying a program that is usually just available to Automotive Journalists, check out JLR’s website to register for the opportunity to participate. There is no cost to participants.